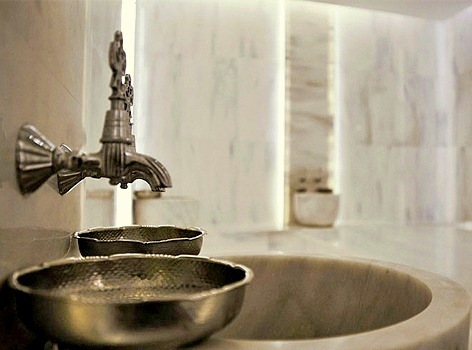 No one should visit Turkey and leave without entering a Bath and take a Turkish bath. Definitely a wonderful and unforgettable experience. The smell of the soap they use to take extra throughout the body is something that has stuck in my memory forever. 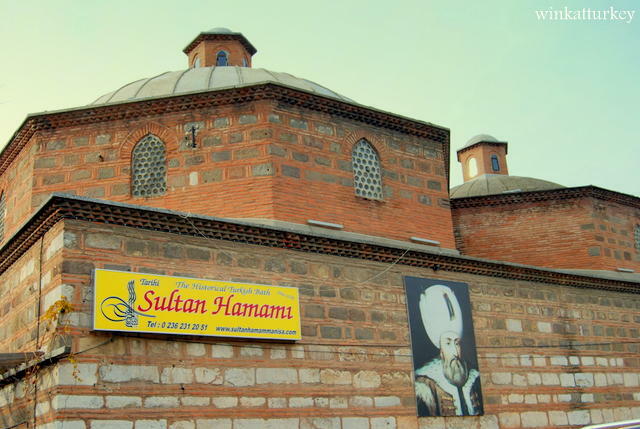 The truth is that my husband and I were not determined to get into one of those”Turkish baths” of those who had heard both, but in one of our travels around the country, friends convinced us to try it and it was the best we could do. We decided to enter the 2 at a time and thoroughly enjoyed. The result: silky and clean skin, relaxed mind and body as new. And I say, What more could you ask for? 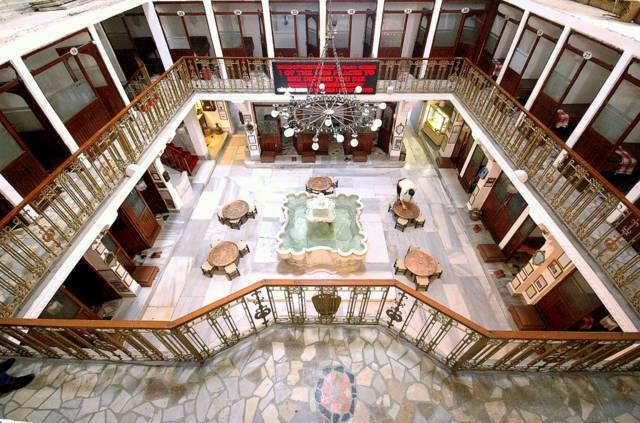 One of the oldest and largest Turkish traditions around the world, the Bath “Turkish bath”. A form of steam which includes cleanse the body and relax. The buildings in which these are given the same name. 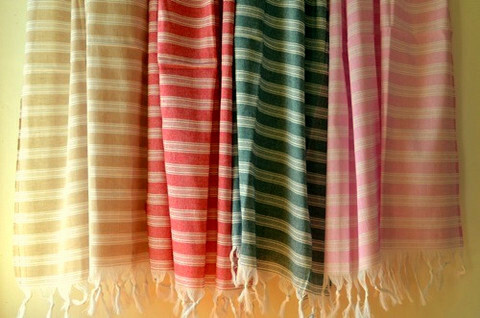 A tradition started many generations ago, adopted by the Romans and the Byzantines and perfected by the Seljuk Turks. They became a center for social gathering and an essential element of life in the towns and city neighborhoods. Remained in Eastern culture and popularized especially under Ottoman Empire. Travellers who liked these countries visited the Turkish baths and “led” to Western Europe, where mid popularized XIX century. 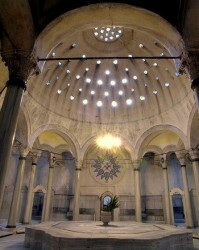 Many Turkish hamam were built during the Ottoman period and a 40 them by the architect Sinan. 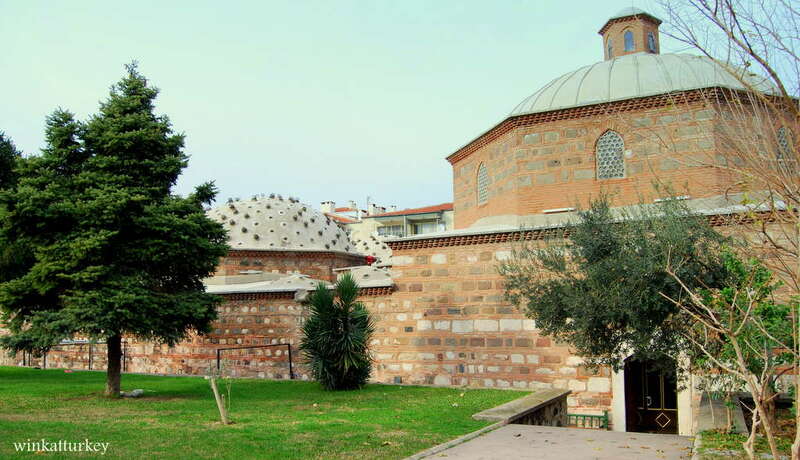 One can clearly distinguish the buildings dedicated to hamam, or Turkish bath, because they possess a peculiar chip glass dome that let light into. 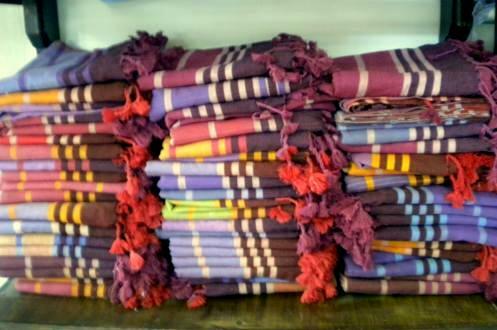 It was much more than a place for the provision of cleaning Islamic beliefs. It became a place that became part of everyday life, a place where people from different social levels, rich and poor, young and old could join freely, socialize and even gossip. 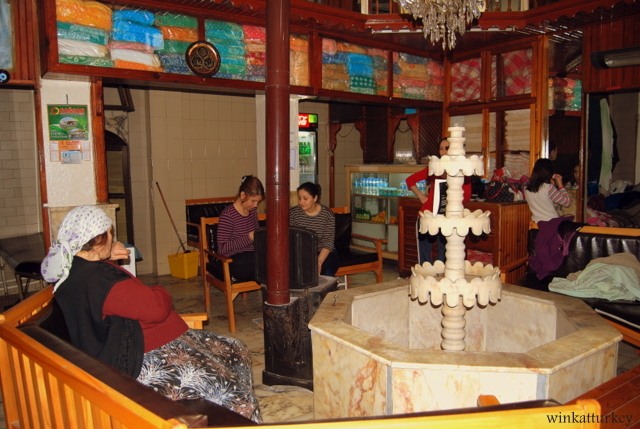 For women It was really important, passing them to the harem hamam with great ceremony. This time was used by the youth to showcase their embroidered towels and nice shoes, while older women elected to the observed and potential wives for their children. 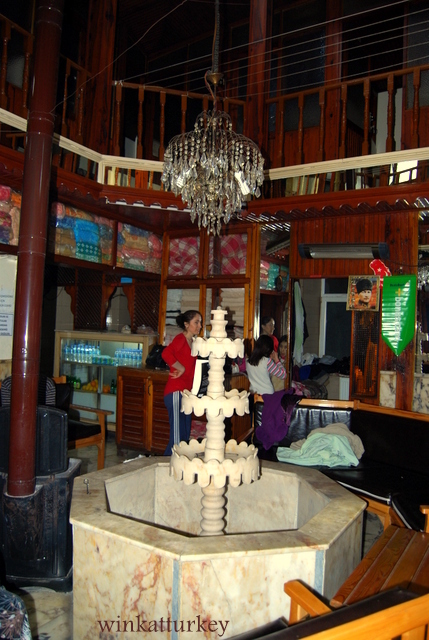 The men used the hamam at different times and they used to talk about politics and business. The truth is it's all a ritual. Passing inside the building hamam take us to a room to take our clothes off and give us a “peştemal” (thin towel, usually striped and fringed at the ends). We cover ourselves with him and wearing flip-flops to spend a warm room “temperature or heat” In this room there are different sources which deliver hot and cold water. You have to sit, relax and start to lie over hot water and cold water with a few containers that exist in the special room for it. After spending some time we spend sitting at the center of the room, in which there is a large marble surface, your name core tau, and we lay down on it. The shopkeeper we start rubbing our skin, make a cleaning every inch of our body, even between the fingers and toes, behind the ears and face. To do this use a special sponge peeling natural fiber, call Committee. After we were stripped of all the dead skin from your body, we will be covered by a mountain of foam liquid soap with a delicious smell. And now with this foam will begin to give us a full massage, from the toes to the head, first face down, then face up to not leave without trying a muscle. Sometimes it can be a little painful, but the result is wonderful. To remove the remaining foam body cast us a couple of buckets of water over. I recommend you take a breath before we throw water over! Time to let the hot room and go to the temperate zone of rest in which we will have received an offer the, agua o coffee. After some rest and relaxation we can get back into the changer to dress. And now enjoy having new touch our skin, smoother than ever. Apoditarium it camekan: It's kind of central courtyard around which are found to move the small rooms. Sogukluk: A cold room so we can adjust the body temperature. Temperature she tempreture: It is hot and wet room with large marble surface in the center. There are various options to enjoy this experience, attending a traditional hamam in which usually separate men and women at different times. And so contemplate the reality of a Turkish bath, with all kinds of people and a lot cheaper. 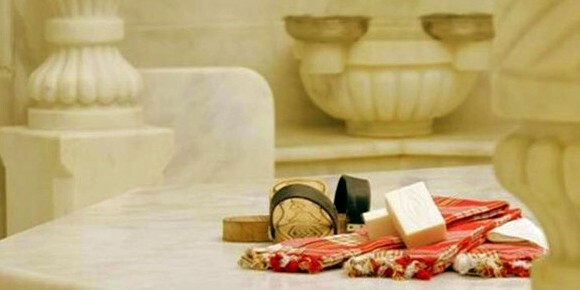 The go to a some hotel hamam 4* or 5* and leverage to try the massage in the company of your partner. These have a much more modern and luxurious facilities, and allow greater privacy, yes you lose the charm of the traditional bath. 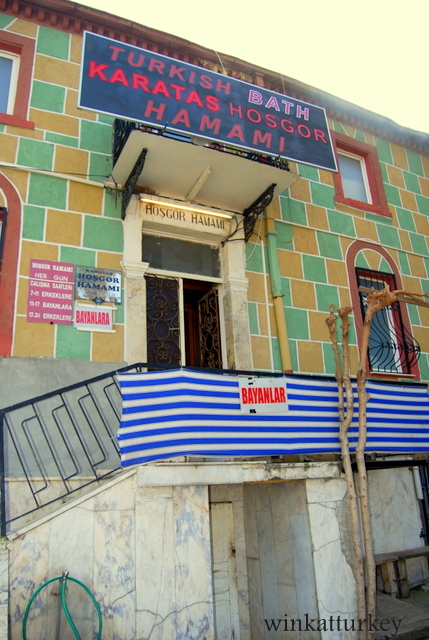 Prices vary greatly from traditional hamam,where the input and service kese and bubble bath”kopuklu” ranges 35/60 TL (17/28 euros). In Istanbul, As best known slightly. Hello! I live in Izmir and I would like to know if you recommend me a place especially, my daughter is here visiting and I would like to go with her, thanks and regards! I asked for some especially hamam?? Or somewhere in the city?? We will be in Izmir within a week, we are a couple, We recommend a hamam in town to get together? to be together would have to go to one private. The crown hotel is fine. If we dare we'll go there, thank you very much!